Planetrehab is an Electronic Medical Records (EMR) Software, Medical Billing and Practice Management (PM) solution, provider. 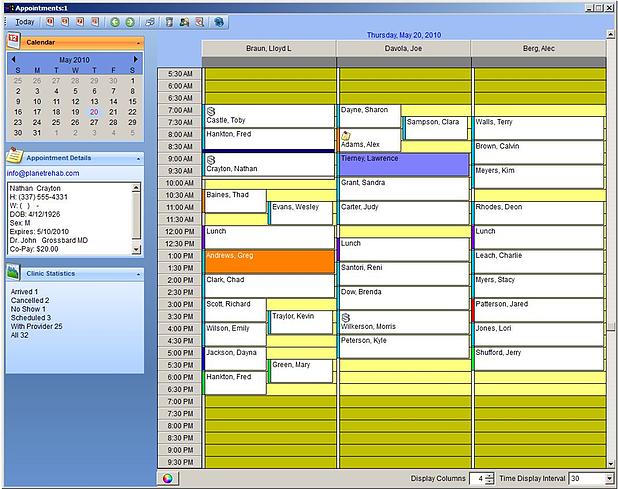 The software is ideal for Physical Therapists and can fit in every sized practice. It is available in both server-based and cloud-based solutions which are fully interchangeable. It is very beneficial because users can still access the system even if the Internet connection is lost. 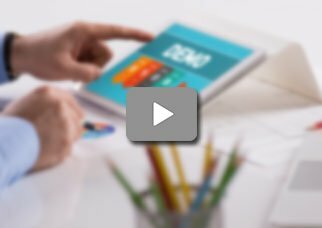 Planetrehab is a complete Practice Management (PM) application providing all the functionality a clinic needs to manage every aspect of the practice including scheduling, documentation, billing and reporting. It Acts as both a software provider as well as billing collection service. 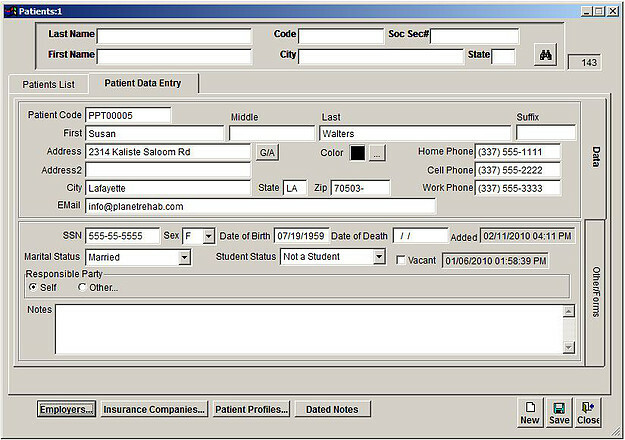 The Patient Data Interface module of this system allows medical practices to easily locate patient information, keep unlimited patient history, track patient’s employer and responsible party, quickly review a list of all of the patient’s past appointments, offer warnings of duplicate patient entry, comes with built-in scanning and allows physicians to email/text patients to remind them about their appointments. Planetrehab allows therapists to document encounters efficiently. It is loaded with more than 400 inbuilt and fully customizable templates including templates for OT, PT, SLP, and Pediatric. Therapists can recall past notes, drag and drop notes, and can generate notes from a variety of predetermined phrases as well. The PM’s reporting feature enables Clinical Staff and therapists to identify the areas that need to be improved and to track practice productivity. 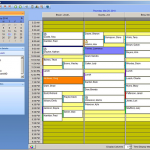 It also allows clinicians to create customized reports through a built-in second report program. This health IT software is HIPAA (Health Insurance Portability and Accountability Act) compliant which is necessary for the practices to ensure the privacy of Patient Health Information (PHI). With the Planetrehab EMR system, everything is included in a single, user-friendly interface which means practices doesn’t have to buy any individual modules.